On the 10th of March 2018, a group of CEOs (participants of the SME@UTM 2017 programme) departed to India for the SME@UTM 2017 Industrial Visit. The participants gathered at the UTM XCITE’s compound before embarking on a 4-hour journey to KLIA via bus. Exactly at 6:50 pm, the group departed to New Delhi on MH 190 to Indira Gandhi Airport. After a short hop to New Delhi, we arrived at the Indira Gandhi Airport where our travel agent in India was waiting for us. We stayed a night at the Suncourt Yatri Hotel at the outskirt of New Delhi for a few hours before moving to New Delhi Railway Station, early morning on the next day. 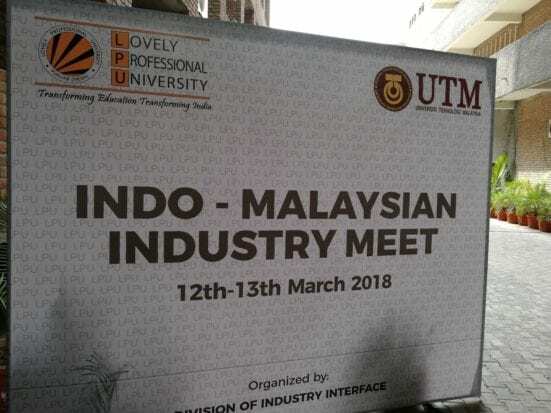 Indo-Malaysia Industries Meet-up hosted by Lovely Professional University (LPU). We boarded the New Delhi- Amritsar Swarna Shatabdi Express 12029. The train departed on time and we arrived at Phagwara Junction at 1230 pm due to a half hour delay. We were greeted by Mr Raj Nidhi Sharma, Deputy Director, Lovely Professional University (LPU) and his subordinates at the Phagwara Junction Station. After a lavishing Northern India Vegetarian Lunch, we were given a campus tour of the Lovely Professional University. The entourage was then moved to the Chancellery building for the Indo-Malaysia Industries Meet-up hosted by LPU. The session was attended by the top management of LPU and entrepreneurs from Jalandhar and Phagwara. 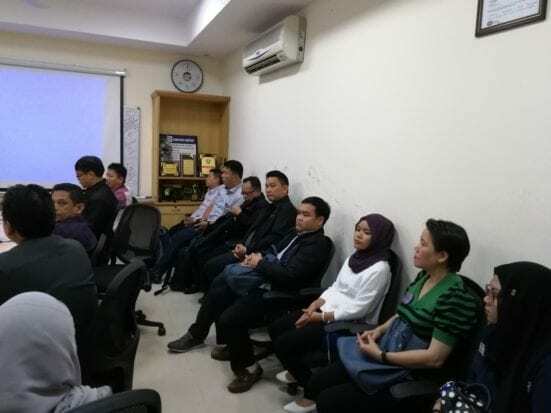 The participants were briefed on the current business situation in the Punjab region as well the opportunities for Malaysian entrepreneurs. During the networking session, Malaysian entrepreneurs mingle with their fellow Indian entrepreneurs. Several entrepreneurs were interested in our kindergarten business operated by one of our entrepreneurs. There were lots of keen questions being thrown by the Indian entrepreneurs as they were putting a serious focus on early childhood education. The day begins with a meeting with top officials from LPU together with officers from UTM, SME CORP and a focus group of CEOs. The agenda of the meeting comprised on how to find common grounds and how can LPU benefit from the SME@University Programme and how it can be executed in Punjab Region. Other than that, UTM and LPU discussed the prospects of working together through student/ staff exchange, an introduction of entrepreneurial subjects to LPU through UTM expertise and also how UTM created networks with industries. From the session, besides trying to bridge on business activities, the Indian counterparts also took education and its quality seriously. The sharing session on how education in early childhood, entrepreneurship and research may strengthen the university and industrial ties highlights various opportunities in potential businesses. Education becomes a focal point in this discussion, as LPU is well known as one of the major contributors towards social and economic developer in Punjab. Mr Jaswinder Singh Bhogal, Vice President of Uniparts India explaining the activities done by Uniparts India. Later on, the delegates visited Uniparts India Ltd. The delegates were welcomed by Mr Jaswinder Singh Bhogal, Vice President of Uniparts India. Uniparts India is a leading manufacturer and supplier of 3-point linkage solutions to the Indian market. Uniparts India is a prominent exporter of agriculture and construction equipment components to other parts of the world, including US, Europe, Japan, and Latin America and has consistently been recognized (along with its subsidiaries) as a leading exporter in the category by EEPC. The factory in Ludhiana focuses on developing and creating machinery parts for agricultural industries. In the afternoon, the delegates attended a session with the Chamber of Industrial & Commercial Undertaking (CICU), Ludhiana. CICU is a non-profit organization with members comprising of 10,000 entrepreneurs throughout the Punjab region. 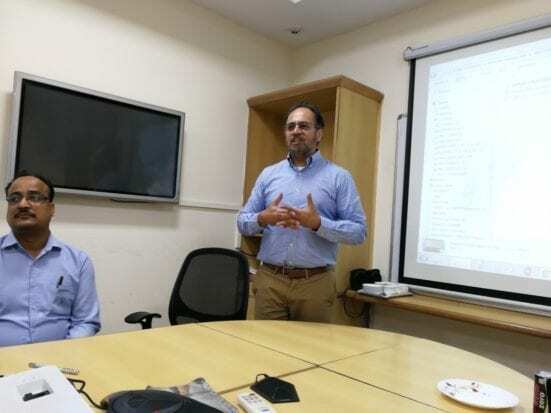 The session was attended by Mr DPS Kharbanda (Punjab State Director of Industries & Commerce), Mr. Upkar Singh Ahuja (President of CICU) and Mr Raj Nidhi Sharma (Deputy Director, LPU). Both Mr Kharbanda and Mr Upkar Singh highlighted the potential of Malaysia and India industrial linkages in many fields. Mr Kharbanda also welcome the Malaysia trade to the Punjab region and also highlighted incentives to those who were interested. “The Punjabis are known for innovation and hard work and Punjab is the best place to do trading.” stated Mr DPS Kharbanda. 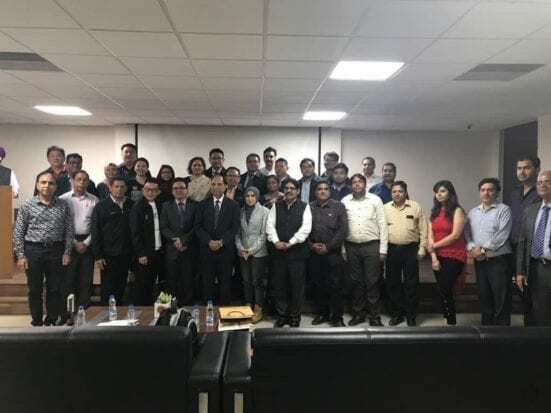 Through a semi-formal networking session held afterwards, Malaysian and Indian entrepreneurs found a potential business matching in manufacturing and construction. Attendees from both countries were immersed in exchanging information, to see how they are able to support one another. The discussion also circulating on how the two parties were able to learn from each other’s experiences and see the possibilities to adapt it, thus businesses have better opportunity to be more efficient. 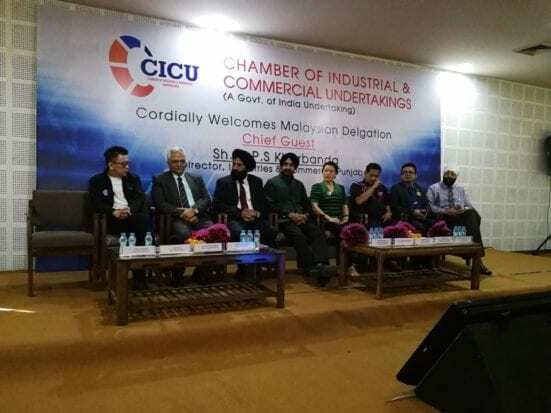 Session with the Chamber of Industrial & Commercial Undertakings (CICU), Ludhiana. We departed from LPU Hotel very early in the morning to catch the 6:23 am train to New Delhi. After a 4 hour journey, we began a half day city tour before departing back to Malaysia on the same day.